My home is in the mountains but I grew up in Florida so still consider it my home state. There are so many things I love about it, food is near the top of the list. 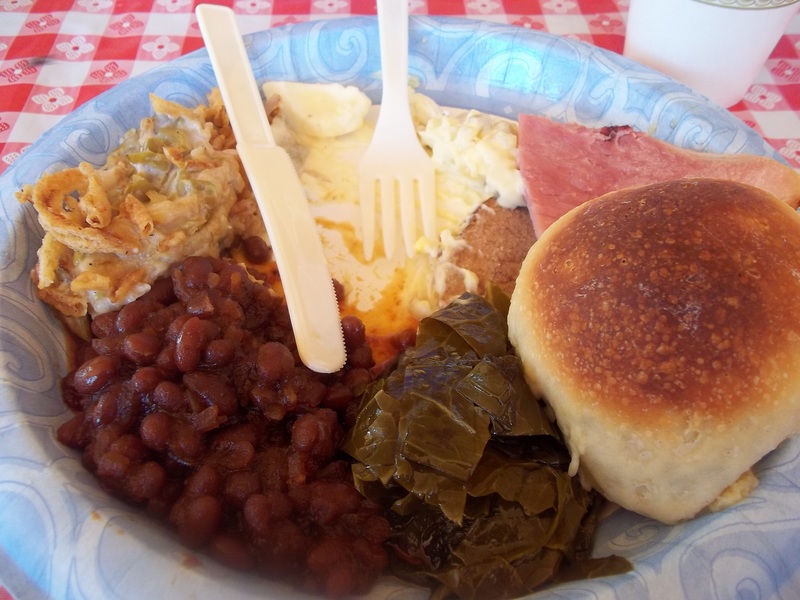 I was able to go “home” for about a week and rediscover some places I love and even meals that I associate with some of my favorite places around the state, and I was also able to spend a lot of time with my family eating wonderful home-cooked meals. 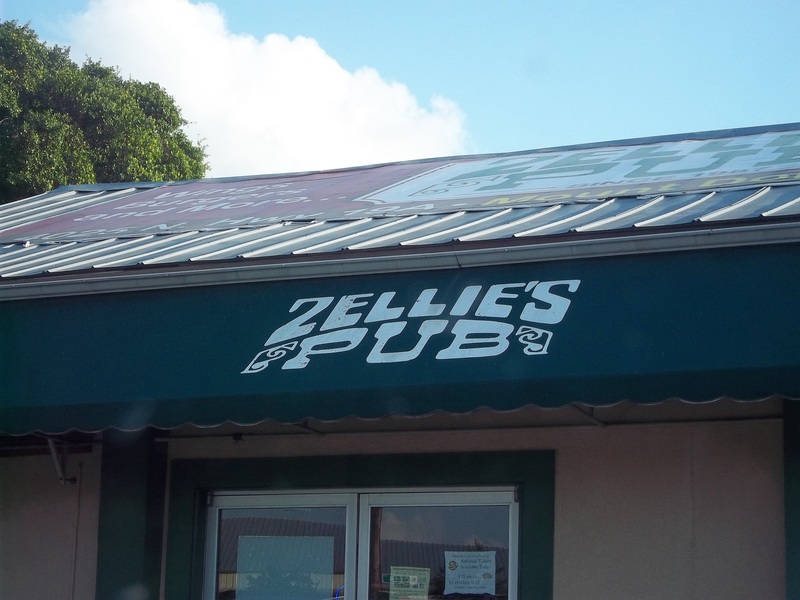 On the first night of our vacation, my aunt (we’ll call her AK in the blog) and her husband took us to a neat little dive called Zellie’s Pub in Mount Dora, FL. 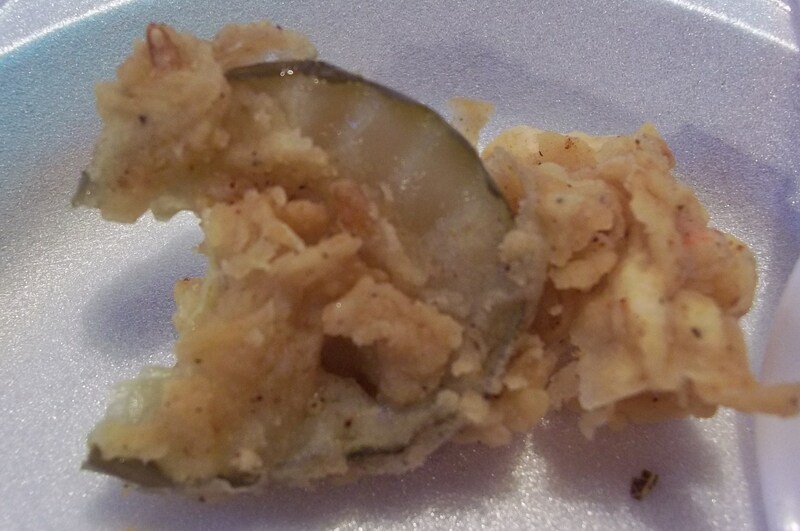 We started with an appetizer combo of fried mushrooms, onions, pickles, and gator tail. The gator tail was the best I’ve had. It’s usually fatty and rubbery, but this was so tender that we joked that it may have been chicken substituted to keep costs down. The way some people abhor spiders, snakes, heights, and tax time, I hate alligators. For this reason, I eat them every chance I get, my way of getting back at them for freaking me out on early morning fishing trips and canoe rides as a child. 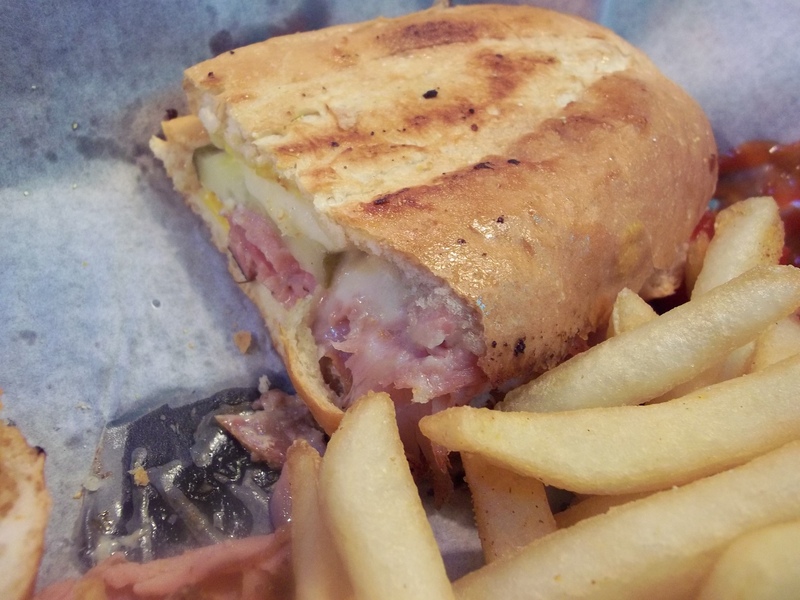 I was also surprised by how good the fried pickles were and the Cuban Sandwich I had for my meal was perfect. The aunt that we were staying with (AJ) is a cook for a summer camp. She cooks for hundreds of kids three times a day during camp season which lasts until October. 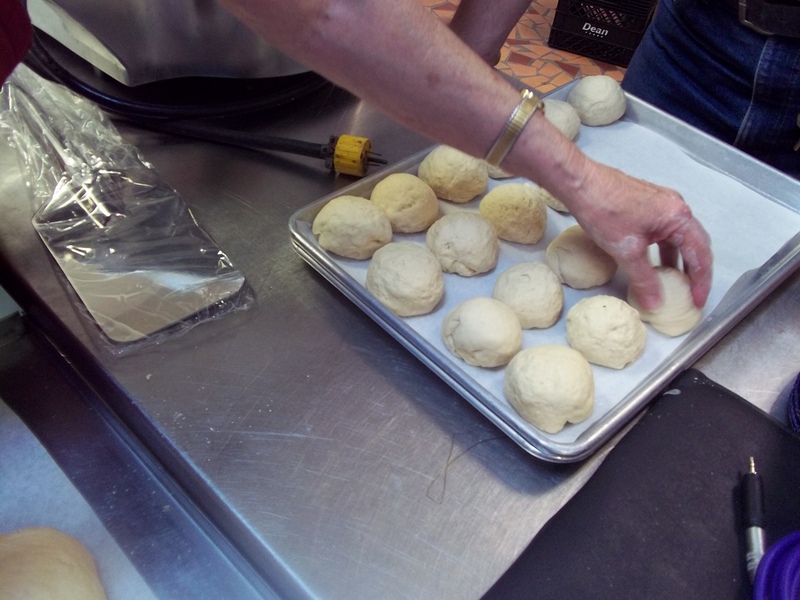 In our family she is famous for her soft, yeast rolls. They are amazing! She told me before we drove down that a Mother’s Day dinner was planned at my cousin D’s house. She would be making her rolls, potato salad, and baked beans and I could help her. I was curious to see how she gets her rolls so nice and fluffy was excited to be able to watch and help. 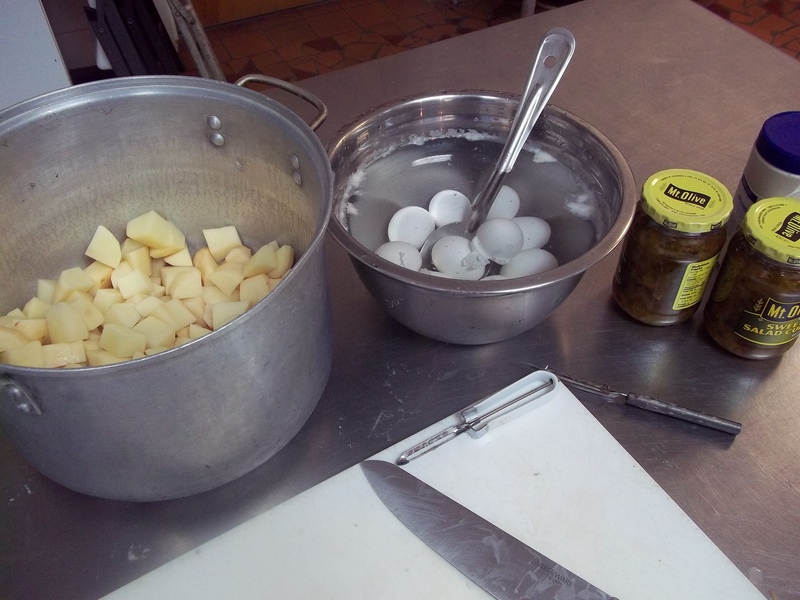 The best part was that we would be making everything in the camp’s commercial kitchen. We stopped by a little produce market that gives AJ good deals for the camp. 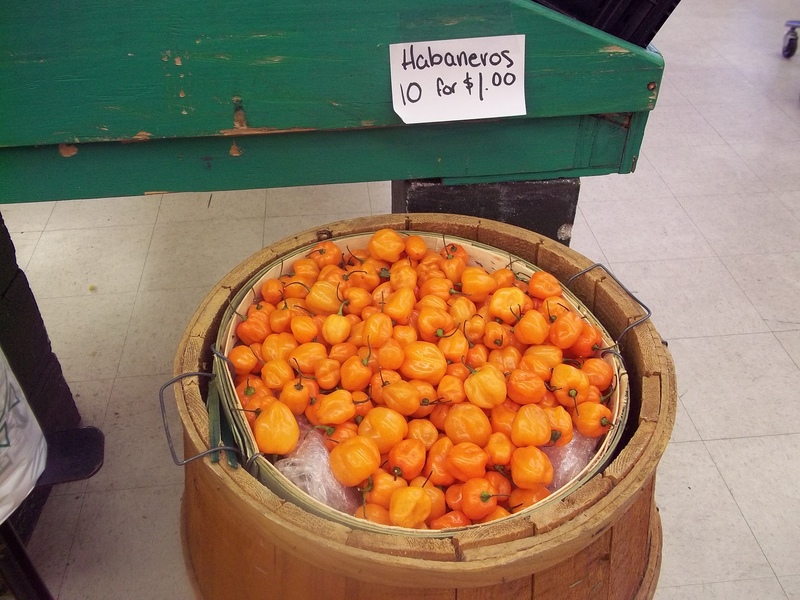 The prices were good, but I was hoping to find more local fruits and vegetables than they had. 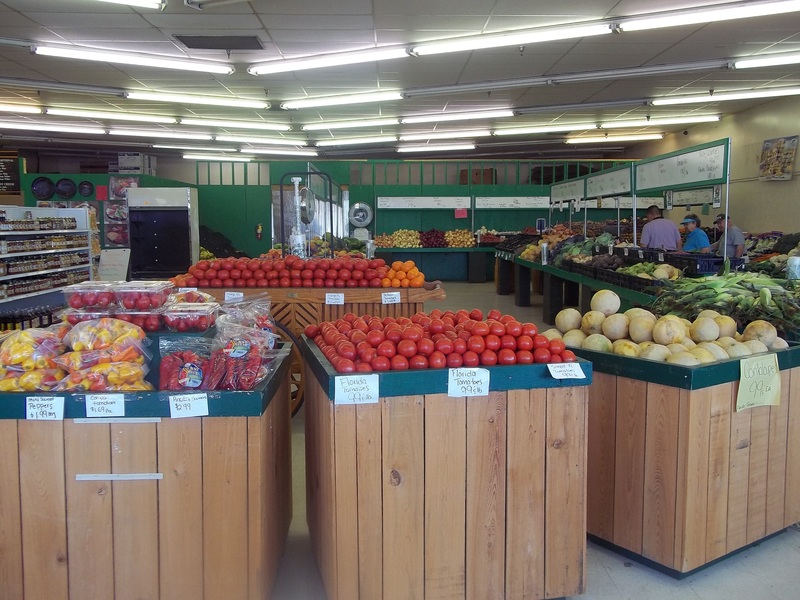 It was unusual to see an indoor “farm stand” that was air conditioned. 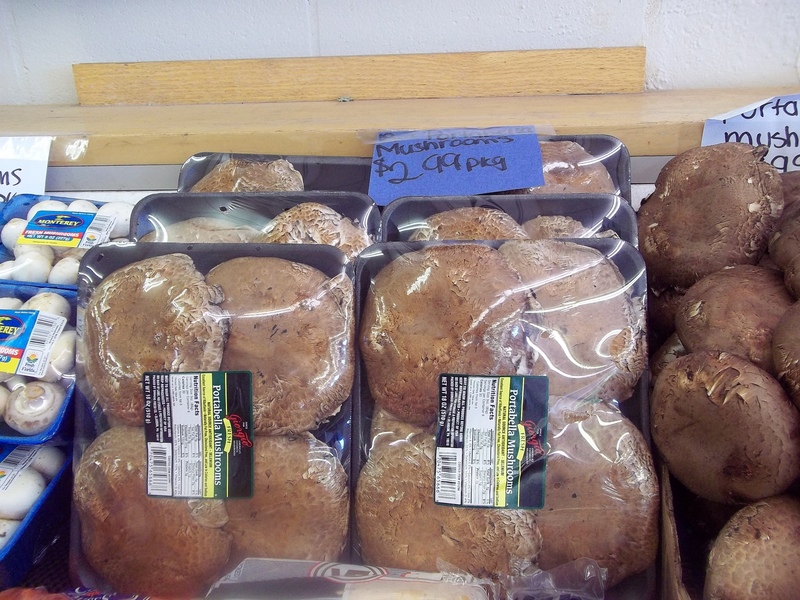 They had a good selection and I toyed with the idea of stopping on our way out of town to get some things. It’s been so long since I’ve been able to get my hands dirty in a “real” kitchen that I couldn’t wait until the day before the dinner when we would make everything. 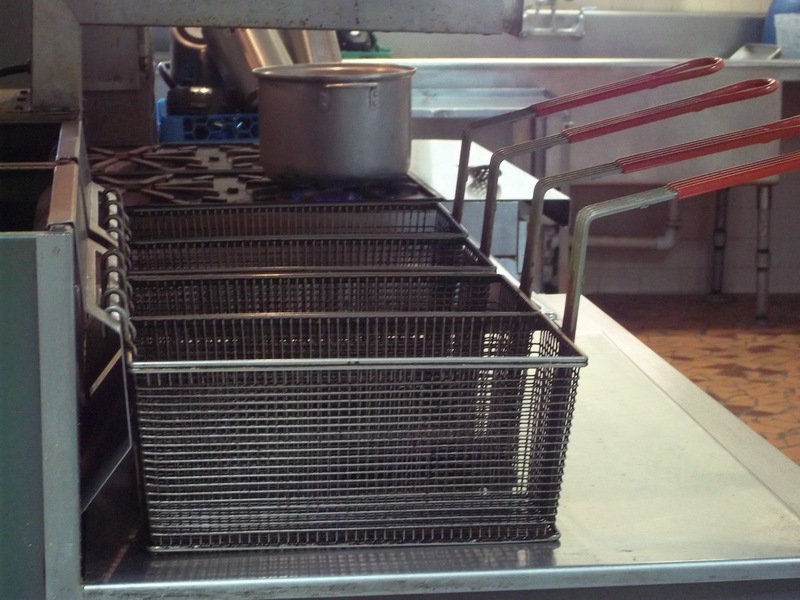 When the time came, how nice to be surrounded by the familiar smells and equipment of a professional kitchen. 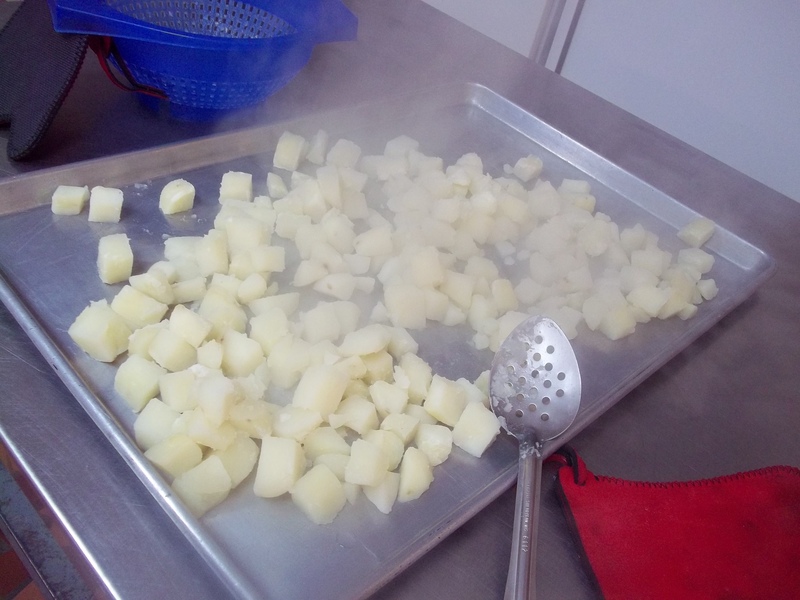 Silly things like turning the knob on the gas stove and waiting for the puff of blue flames to appear, using a whisk and stainless steel bowl that was big enough to cook for an army, rows of knives stuck to magnetic strips waiting to be used all made me smile with contentment. Sometimes I wonder how long I will be able to hold out before jumping back into a line cook job. 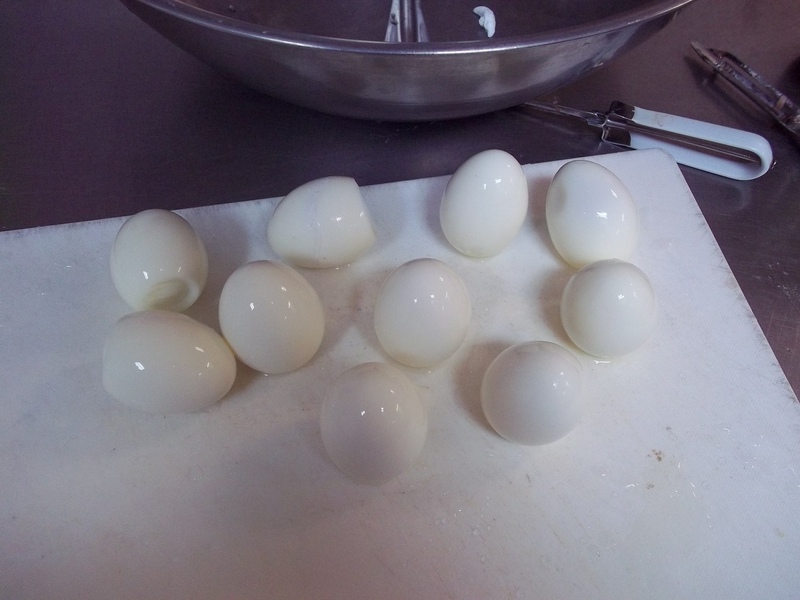 I wondered that a lot while I boiled eggs and potatoes for potato salad that day. Now, as I have mentioned before, I am very particular about potato salad. I like my mom’s which I make sometimes, and I love potato salad made with dill pickle juice the way my friend from Missouri taught me to make it. 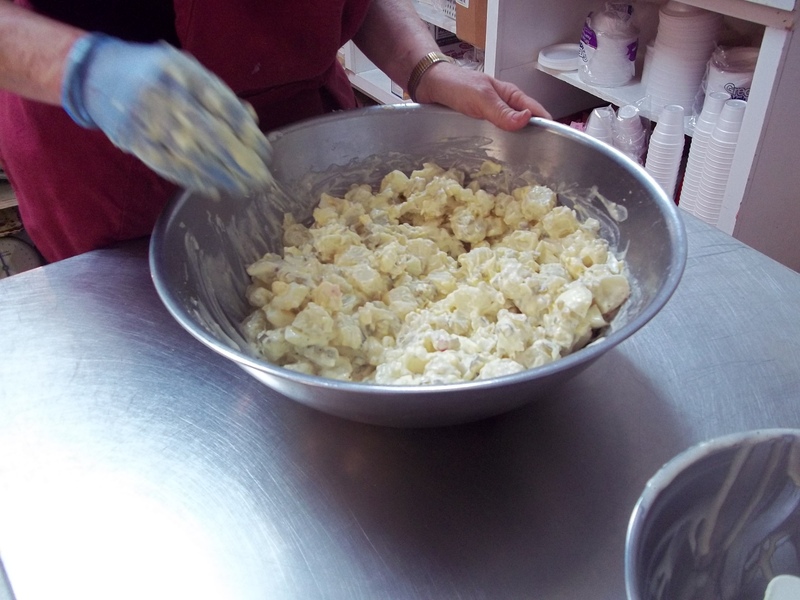 I also love sour cream red potato salad, but consider it in a completely different category. Well, I discovered last weekend that I also like my AJ’s potato salad. She made it with eggs and used a type of big relish I had never seen before. It wasn’t dill pickle flavored and looked like chunky relish, but wasn’t as sweet as relish. It made such a good potato salad. 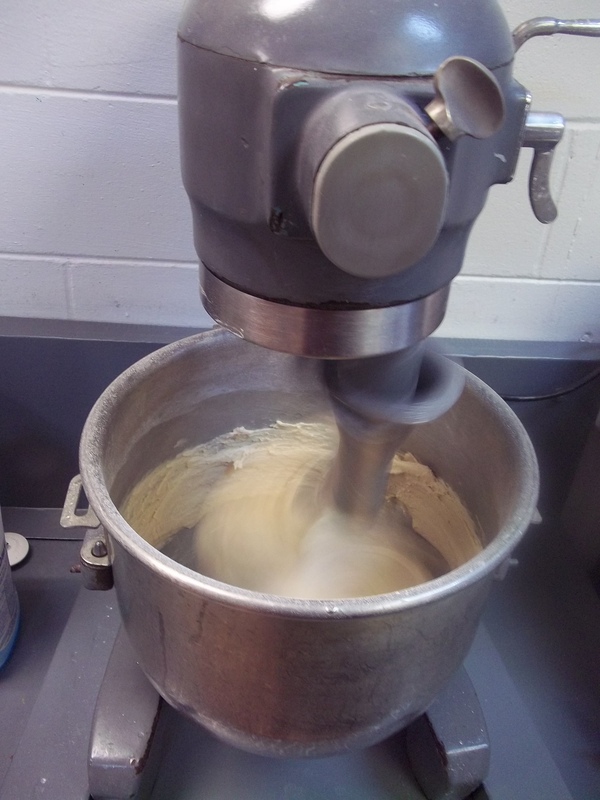 She used the large mixer to make her yeast dough then let it rise once before punching it down. 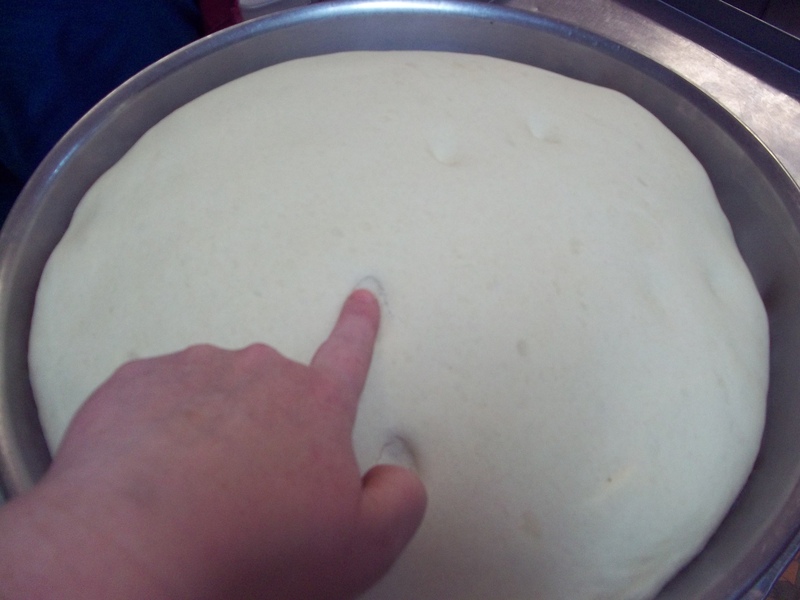 She let it rise a second time before we shaped them into rolls. 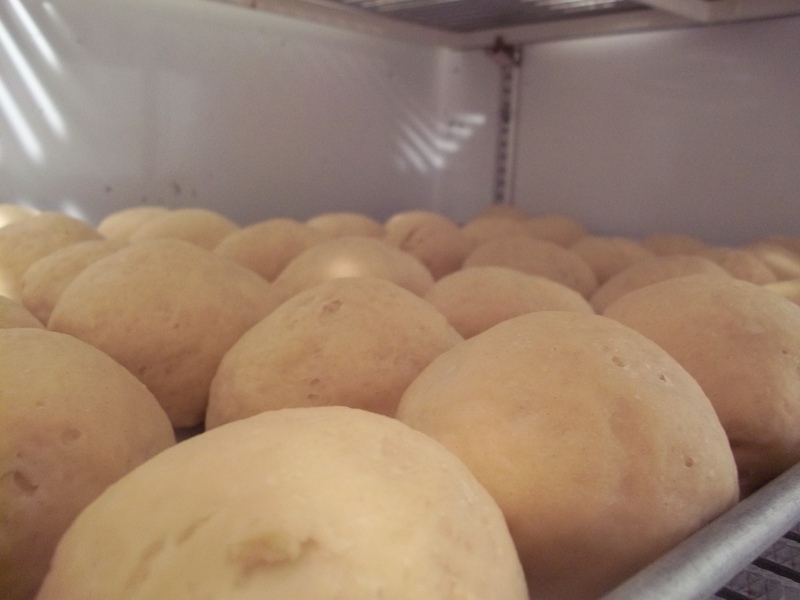 The shaped rolls stayed in the reach-in cooler to rise again until the next day when she baked them, just before it was time to eat. On the day of the Mother’s Day dinner AJ made a ham and roast beef. My cousin D made greens fresh from his garden that reminded me of our grandma’s kitchen, the only place I ever ate greens as a kid. 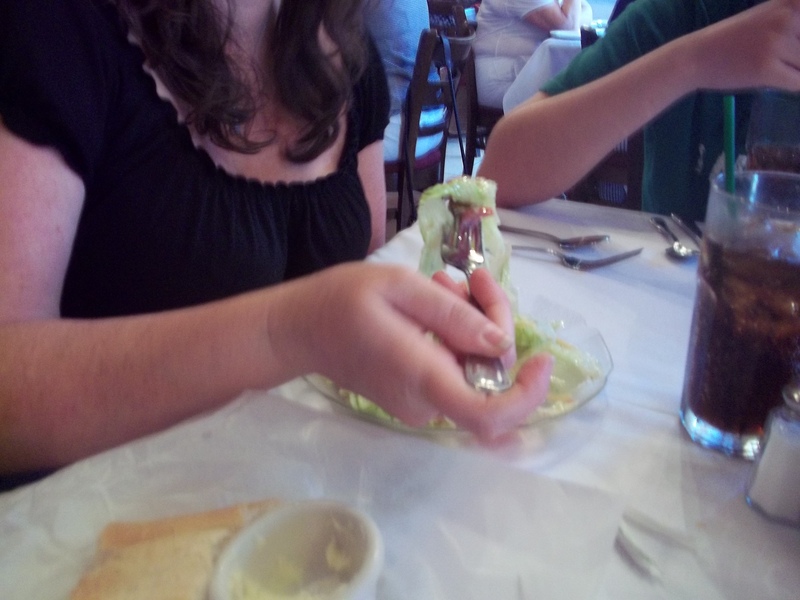 I remember her house smelling like cooking greens with her pressure cooker chugging away cooking them. I hadn’t seen any of my family members that were at the dinner since Grandma’s funeral a year and a half ago, so it was a really nice Mother’s Day week full of memories. At each house I visited there were things of hers that everyone inherited after she passed away. It was so comforting to see her furniture and knick knacks. Things I’ve missed almost as much as I miss her. The typical family meal we children, grandchildren, and great grandchildren of hers ate together on Mother’s Day made me feel like she was there too. 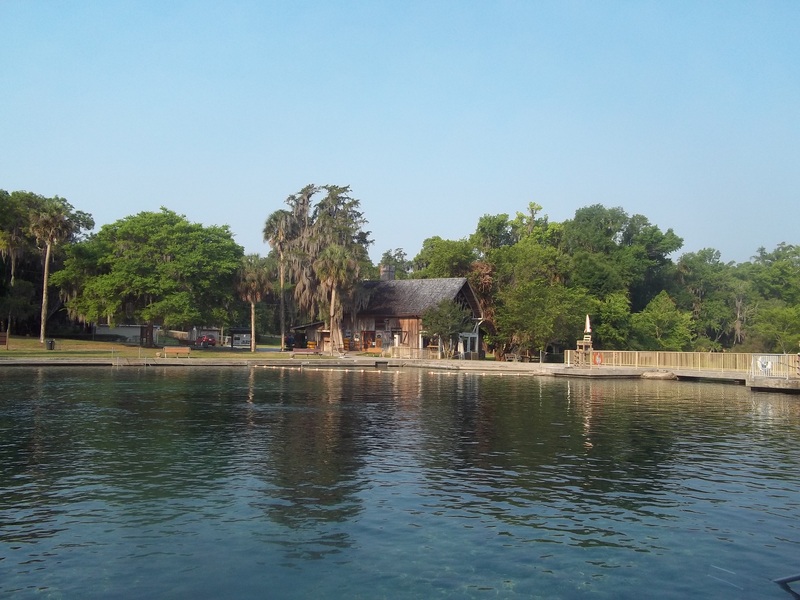 One of my favorite Florida meals is the pancakes at the Old Spanish Sugar Mill inside Ponce De Leon Springs State Park. When I was a child, the park was privately owned and you could camp there. I was very little when we camped there with AK and cousin D. I remember walking through the campground to listen to some other campers playing Blue Grass music and seeing a huge owl sitting on a low hanging bough of one of those hundred year old Live Oak trees. 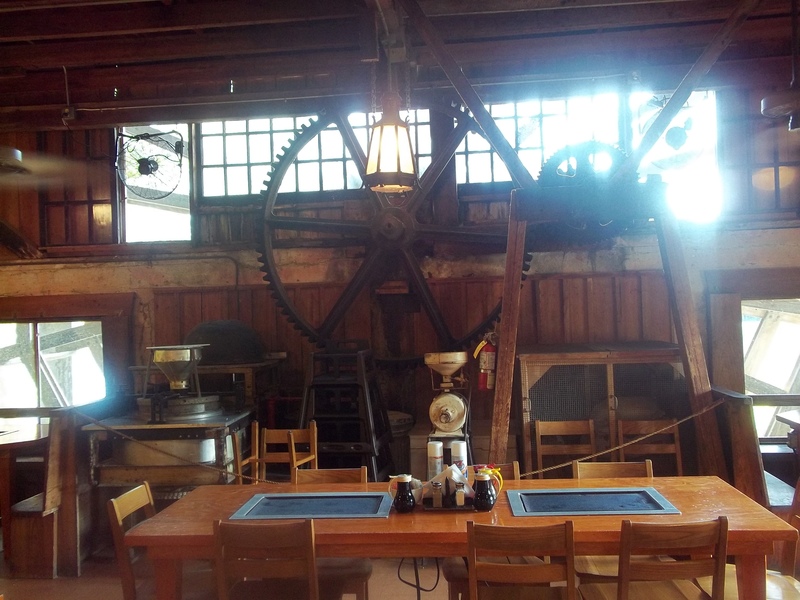 The next morning we went to the mill and made our own pancakes on griddles that were built into the tables. I have never forgotten the smell of that building and return every chance I get sometimes on our way out of Central Florida the day we head back to the mountains. 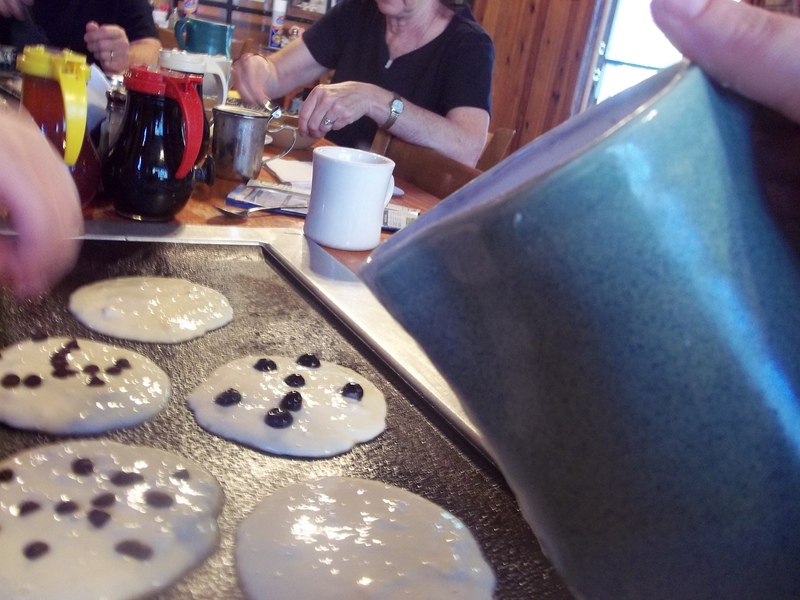 Buckwheat batter with blueberries are my favorite at the mill. On this trip we talked AJ and UM, my uncle, into going with us. So much fun to share the experience! After the mill, AJ and UM went home while we continued on to Daytona Beach. 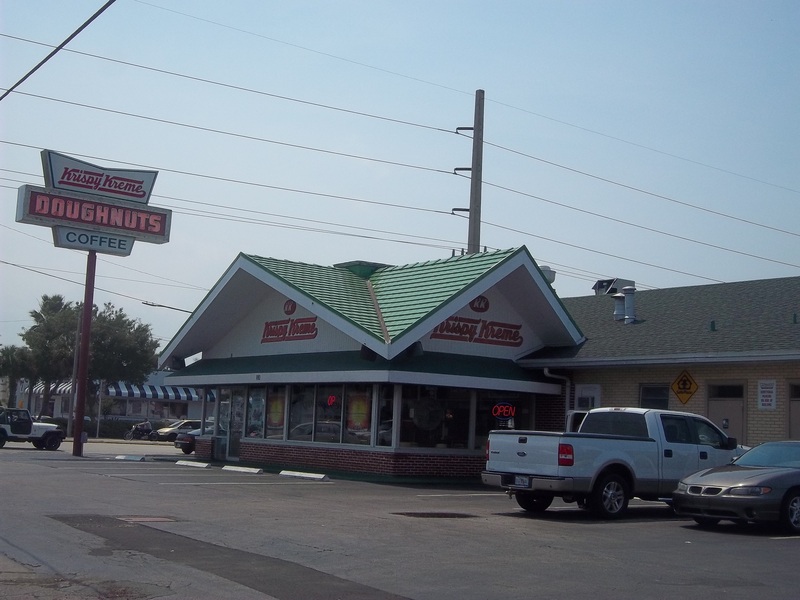 I was surprised to see an original Krispy Kreme doughnut shop like the one we used to have in downtown Orlando that closed when I was a teenager. If we hadn’t been so stuffed with pancakes we would have stopped to watch the donuts being carried along the conveyor belt to be iced. 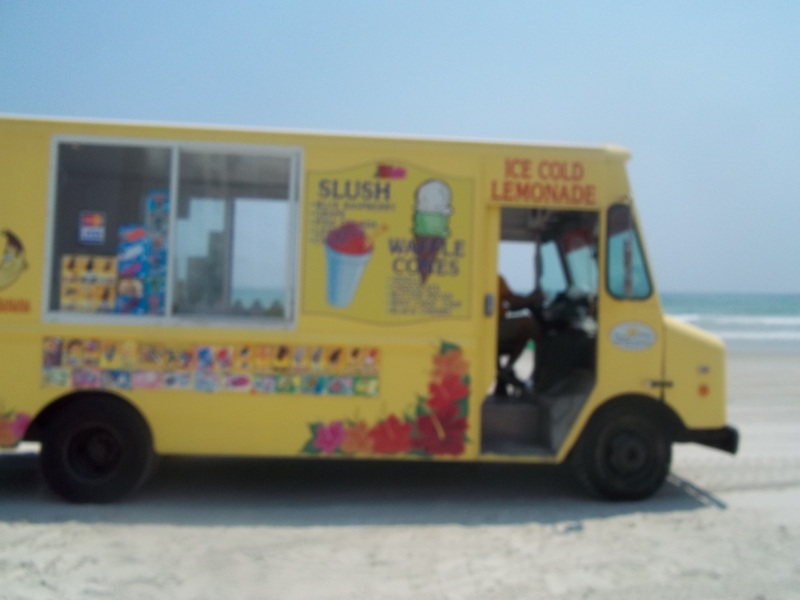 Fortunately, by the time the ice cream truck came rolling down the beach a couple of hours later, our stomachs had settled enough to take advantage of such a rare novelty for our family. When our boys were born we lived in military housing. We were lucky enough to have an ice cream man come around in the summer. I remember as a girl living in Florida, how important it was that my mother had change in her purse when we would hear the familiar tune of the ice cream truck coming down the road. My sister and I were disappointed to realize when we moved to the country that there was no ice cream truck in that area. My boys, though they were little, experienced the same realization when we moved out of military housing. On a trip to Daytona 8 yrs. ago, they were able to buy an ice cream from the passing truck. They always remember that beach as the one where one boy got an alien ice cream and the other got a Spongebob ice cream. They remember the bubble gum Spongebob eyes melting and falling out, carried off by the waves. I’ve always hoped a sea turtle or other creature didn’t get a hold of them and suffer a serious bout of indigestion. Anyway, we knew for this Daytona trip, the first in so many years, that we would need to have small change on hand in case the ice cream man came by. Sure enough! For the past few years we have taken the long road home to the mountains by crossing over to St. Augustine on our way north, then driving up through South Carolina rather than Georgia. 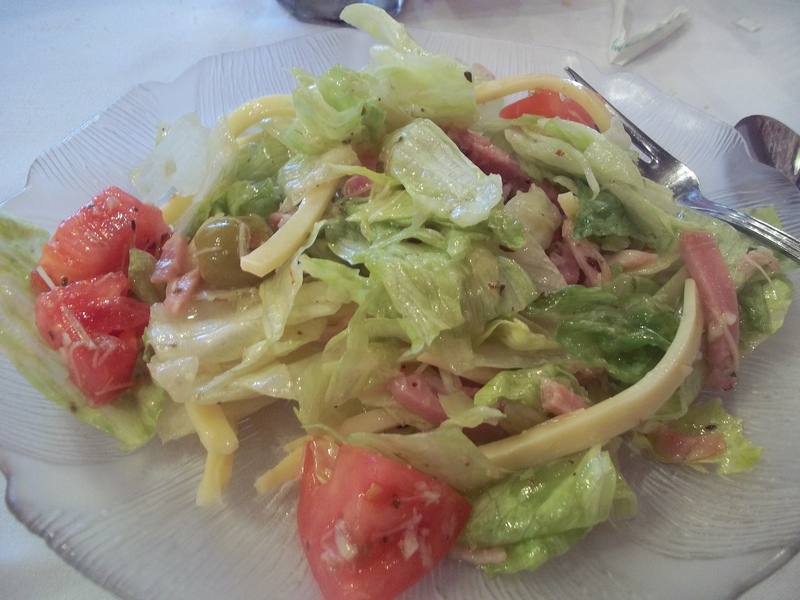 We usually park our car and hike in the heat, which we never seem to get used to now that we live in the mountains, to one of our favorite restaurants, Columbia Restaurant. My parents spent their honeymoon in St. Augustine, so made frequent trips to the city over the years that I was growing up. Sometimes my siblings and I were allowed to join them. I was a teenager the first time they took me to the Columbia and it has been one of my favorites ever since. 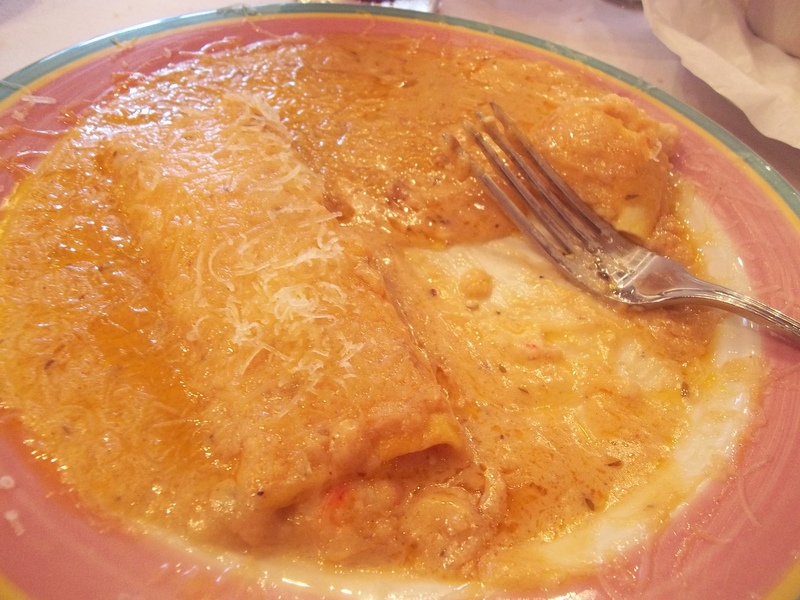 It was so good, that when my sister drove from Orlando the next day to join us, she and I walked from our hotel room at the north end of town back to the restaurant so she could experience it as well. 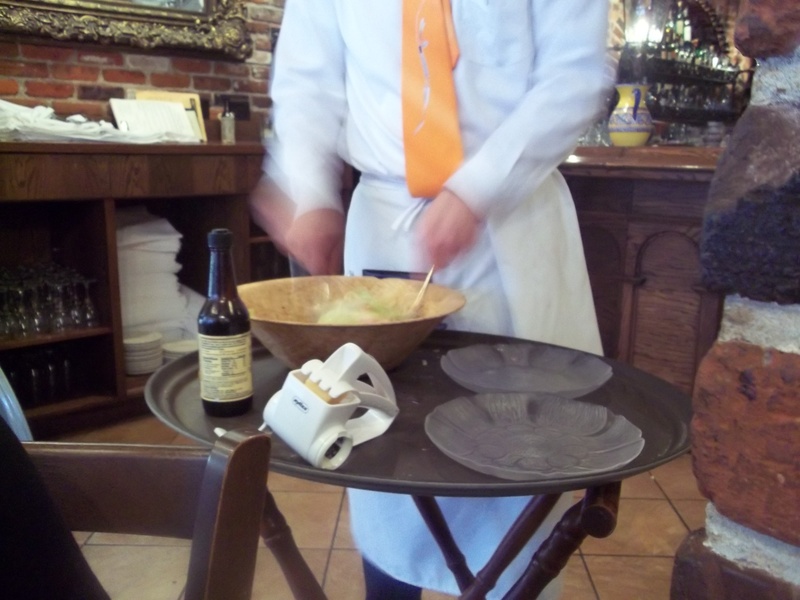 Two nights in a row and I still can’t get enough of their 1905 Salad which they make tableside. The last time I had it, I decided that when I got home I would see if I could find the recipe. There it was on their website. 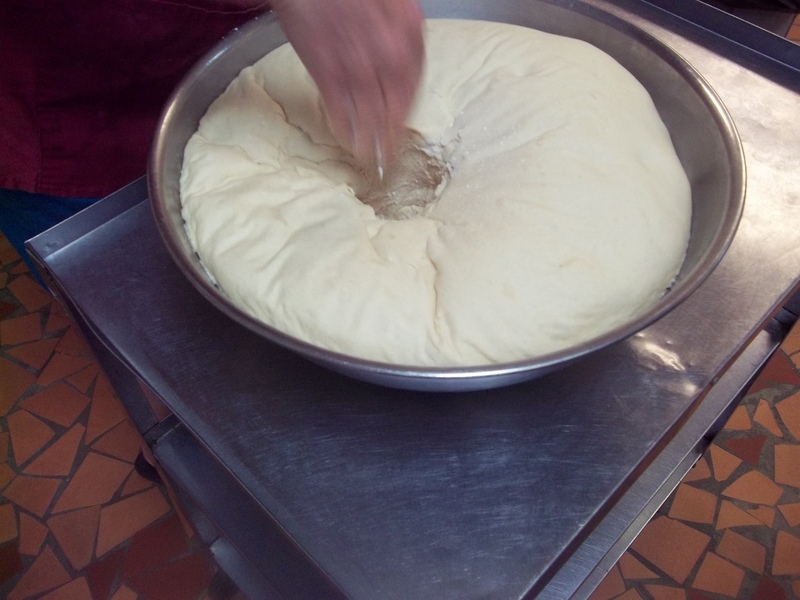 I make it at least once a month, sometimes once a week, but making it at home can’t compare to having it at the Columbia and I’ve given up trying to make bread as good as theirs to go with it. 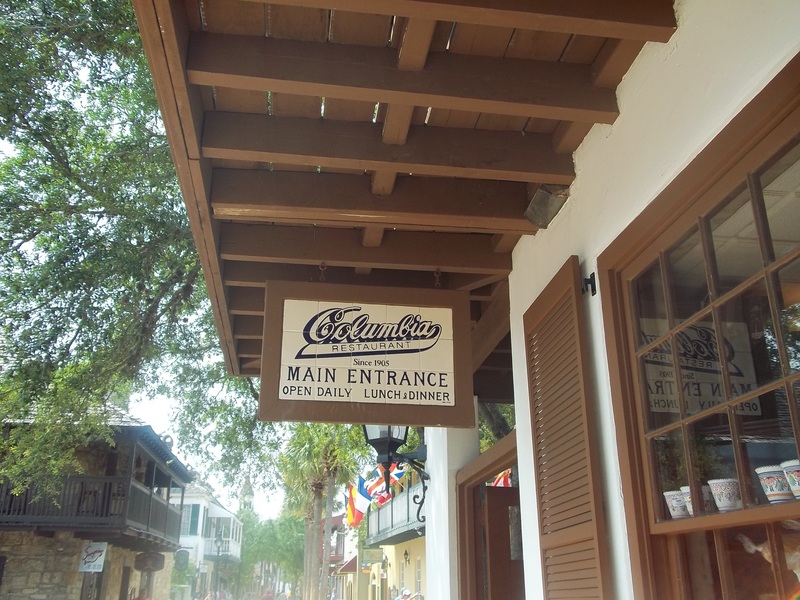 Just when you think you can’t go another step hurrying through the ancient streets under the Florida sun, there it is, the familiar white tile sign and you know that soon you will be sitting in the cool interior maybe next to the fountain, maybe upstairs overlooking it, sipping something cool and wet. We cheated this time around and took the Little Red Train tour of St. Augustine, disembarking at the nearest stop to the restaurant. What fun! After a comfortable ride and a short stroll we were there. 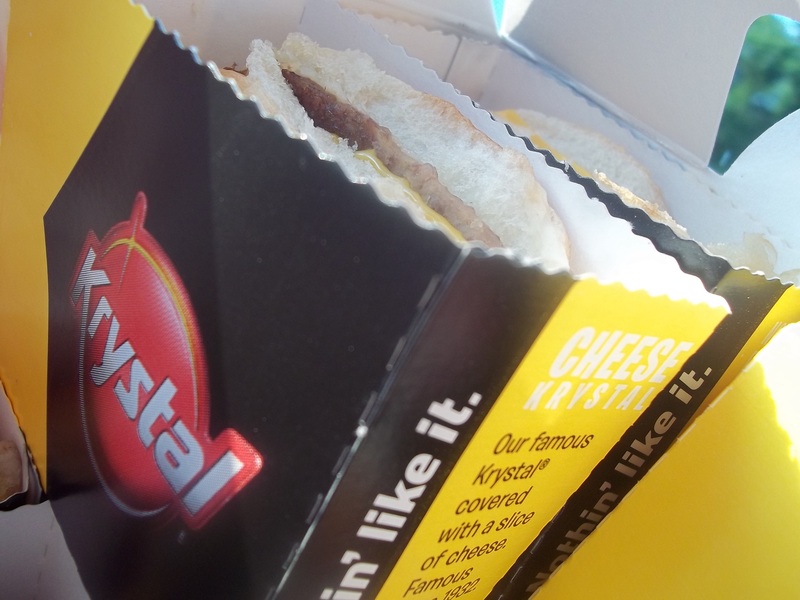 Hours after being back on the road, we indulged in another of the meals we look forward to on road trips…Krystal burgers. When I’m eating them I can’t help but think how awful they are, the lowest quality “burger” you can find. So small you can’t eat just one, too big to eat more than two, no meat on them, American cheese slices which I despise, yet I’ve been hopelessly addicted to them for as long as I can remember. There are no Krystal chains where we live and you always want what you can’t have, of course, so we get our fix while driving to or from Florida. 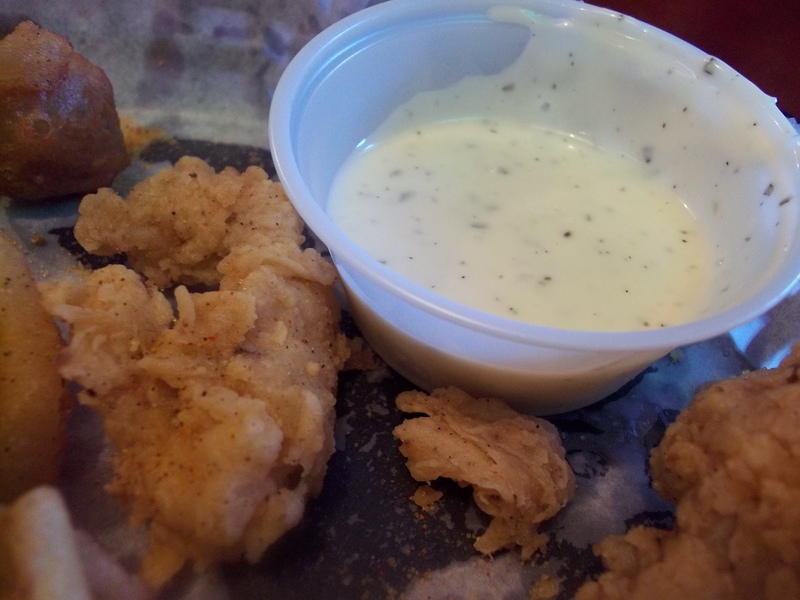 The plan for this trip home was to find some little place serving conch fritters with calypso sauce and fresh, Gulf, fried oysters. I felt like I had been gone for years and years, especially when the oil spill occurred. We couldn’t get home that summer and I felt desperate to get back so I could stand looking at the Gulf before it was ruined forever. I was so sure there was no hope for my home state. We changed our plans for the trip and never made it to the Gulf. I am not missing anything I didn’t have and am feeling spoiled rotten by our adventures. Still, I can’t help looking forward to our next trip, so much so, that the suitcases and snorkeling gear will not be hauled up to the attic for “someday”.